Considering becoming a landlord? There's now more to get your head around than ever, so start your homework with our simple buy-to-let guide. In its simplest form, buy-to-let is where a property is bought specifically to be rented out to tenants rather than lived in by the purchaser. Investors can make money this way by generating an income via the rent charged (so long as it's more than the monthly buy-to-let mortgage repayments), making a capital gain when they come to sell or, in many cases, both. But, like all investments, there are risks attached to buy-to-let. For example, you could be hit by rising interest rates, stuck with difficult tenants or unable to sell if the housing market changes. And times are tougher than ever for buy-to-let landlords with the introduction of higher Stamp Duty taxes and less flexible rules on the tax relief you can claim. So if you need advice on buy-to-let, check out our comprehensive guide to buy-to-let. What are buy-to-let mortgage fees and how much are they? What sort of buy-to-let property should I buy? Does the type of tenant matter? How do I choose where to buy? What will my responsibilities be as a landlord? Do I need to use an agent and how much will it cost? 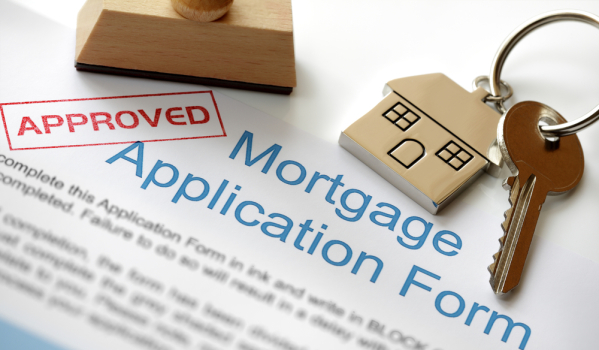 If you can’t buy your investment property outright, you'll need to apply for a mortgage. But this will have to be a specific buy-to-let mortgage. A standard or 'residential' loan is only relevant when you also plan to live in the property. There are various differences between a residential and buy-to-let mortgage, and they start with the way your affordability is calculated. Instead of your salary, the lender will view the potential rental income of the property as your primary income source. Many lenders will then take your personal income into account as a secondary factor. Typically, lenders will want your anticipated rental income (as verified by independent sources) to meet at least 125% of the monthly interest payments on the loan – a calculation known as 'rental cover'. For example, if mortgage interest amounts to £1,000 a month, you'd need to demonstrate rental income of £1,250. However, rules set down by the Prudential Regulation Authority in 2017 recommend that lenders increase this rental cover to at least 145%, meaning you'd need to demonstrate rental income of £1,450 on the same monthly mortgage interest of £1,000. The interest used in the rental cover calculation should be at least 5.5%, according to PRA rules, even if the rate on the actual mortgage deal is lower than this. The financial leeway factored into rental cover calculations accounts for non-rental payments and 'void' periods when the property is without tenants. It reassures the lender you will still be able to meet your mortgage commitment. A deposit on a buy-to-let mortgage also tends to be bigger than the one required for a standard loan. Most buy-to-let lenders expect a downpayment of at least 25% and the very cheapest deals usually require 40% or more. But buy-to-let mortgages with the lowest interest rates tend to come with the biggest upfront fees. A table-topping fix in terms of rate for example, could carry a fee of £2,000, for example. You can lump the fees together with the loan, but this means paying interest on them too. This makes it important to weigh up the interest rate against any fees when taking a buy-to-let mortgage as, in some cases, a higher interest rate might actually work out cheaper. Finding the right property in the right location is important when searching for your own home. But it's equally important when looking for a buy-to-let property. So, before you start your search, think about what kind of tenant you are targeting. A student, for example, is likely to want to live in an affordable property close to the university and nightlife, while families will be interested in the proximity of good schools, plenty of storage space and a garden. Get the location or type of property wrong, and rents will be lower and tenants harder to come by. Keep in mind that some properties are more difficult to secure a mortgage on. These can include former council houses, new developments and flats above commercial premises, such as shops. The type of tenant renting your property can really impact your plans. For instance, many lenders have restrictions on mortgages for student lets and Houses in Multiple Occupation (HMOs). An HMO building is defined by having three tenants or more, that form more than one household and who share a toilet, bathroom or kitchen facilities. Accidental landlord? Check out Phil Spencer's tips on getting your home ready to rent. If you are just starting out in buy-to-let, buying a property close to home could be a good bet. As well as being familiar with the area, you'll be on hand should anything go wrong. However, if you plan to use a letting agent to manage the property, buying somewhere further afield can present a wider range of options. When you have settled on an area, make sure you speak to local letting agents who can advise on what kind of properties are in demand and how much they rent for. Make sure you are getting a good deal by checking the average property values for the area on Zoopla and take a look at how much properties are renting for in the area. Ultimately, the property you buy and where, is likely to come down to what's financially viable. As a buy-to-let investor, you will either be relying on capital growth (increase in the value of the property over the medium to long term) or rental yield (income generated from the property expressed as a percentage of the property value). You'll need to work out which of these has the greater advantage. For example, if your initial costs are so high you are unlikely to attain a good rental yield, you'll be depending on property prices rising. If, on the other hand, you are buying a cheaper property to rent out to several students, you will be relying more on the rental yield. A good rental yield is generally benchmarked at around 5% a year. However, some properties might reap yields as high as 7%-plus, while HMOs can achieve between 12% and 15%. Being a landlord comes with certain legal responsibilities. Your tenants must be assured that their right to live in your property is protected by a tenancy contract and that their deposit is in safe hands. There are several types of tenancy contract, but the most popular is an assured shorthold tenancy (AST). These contracts give tenants a legal right to live in the property for a fixed duration, or on a rolling term. An AST lasts for a set period, normally six or 12 months. It will detail how much the tenant must pay in rent during that time, who is responsible for repairs, notice of eviction, when rent can be increased, how long the tenancy lasts and the tenant's right to have their deposit protected. Deposit protection schemes are a legal requirement and you, or your letting agent, will be fined if you don’t provide one. There are two types of government-backed deposit schemes, insurance and custodial. Under the insurance scheme, the landlord or agent retains the deposit and pays interest to the insurer. They are available through the Deposit Protection Service, MyDeposits and Tenancy Deposit Scheme. The custodial option, where the deposit is paid directly into the scheme, is free-of-charge to use. Each scheme comes with an independent resolution service to iron out problems between landlords and tenants should they arise. Since 1 February, 2016 landlords have also been responsible for ensuring their tenants have the right to rent in the UK. Although this has been challenged in the High Court for breaking human rights, you can find out more about the government's right to rent scheme with our handy Q&A. Providing your tenant with certain paperwork by law. Also known as 'landlord insurance', buy-to-let insurance provides cover for buildings and contents as well as landlord liability. Most landlords will be required by their lender to take out buildings insurance before they can secure a mortgage on a property. This will pay out in the event your property is damaged or destroyed and needs to be repaired or rebuilt. Make sure you input the correct rebuild value on your buildings insurance form. This is different to the amount you paid for the property, so if you are uncertain consider getting a chartered building surveyor to do a valuation for you. This will cover the furniture in the property. But even if it's unfurnished, getting some level of contents cover is a good idea to protect carpets, curtains and white goods. Your tenants will be responsible for insuring their own belongings within the property. This will cover you in the event of the injury or death of tenants and visitors on your property. Usually this cover is a choice but in some cases you may be required to have a minimum level in place, for example, if you are renting to students or in some local authorities. There are various taxes to pay on your buy-to-let home and, in the last few years, they've become a lot more stringent. Here's a round-up. The rent you receive from your property will be taxed at your relevant tax band (and bear in mind that it could push you into the next band up). You can deduct some costs against the amount of tax you pay, however. These costs include letting agent fees, buildings and contents insurance, council tax and utility bills (if you pay them on behalf of the tenant) and essential maintenance such as a roof repair or new boiler. Landlords letting furnished properties can no longer claim 10% ‘wear and tear’ costs against their tax bill. Instead they can only claim for the actual costs of any damage or repairs. And from April 2020, relief on mortgage interest will also be capped for all landlords at the basic rate of 20%, regardless of whether you are a higher rate (40%) or additional rate (45%) taxpayer. Both changes are likely to take a considerable bite out of landlords' profits. 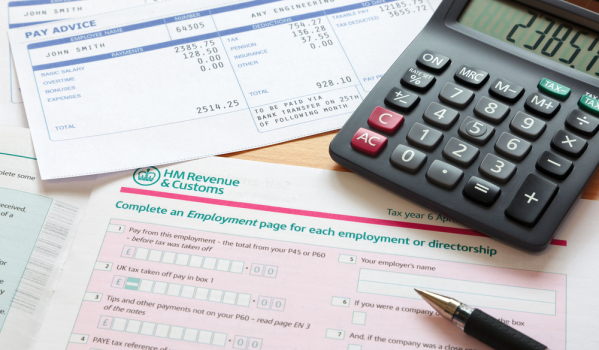 Find out more about your tax liabilities as a landlord here. Buy-to-let property is not exempt from Capital Gains Tax (CGT). This tax is paid when you come to sell the property on any increase it's undergone in value – in other words, on your profit. CGT is paid at 18% or 28% depending on your tax bracket. You do have allowances, though. For the 2019/2020 tax year, the first £12,000 profit is CGT-free. For couples with joint assets, this doubles to £24,000. You can also offset the cost of Stamp Duty and solicitors and estate agents' fees against your CGT bill. There's a 3% loading on every Stamp Duty band for purchasers of additional properties, which includes buy-to-let homes. The tax, which landed on 1 April 2016, applies to all investment property costing over £40,000 – that's lower than the £125,000 starting threshold for residential homes. The 3% Stamp Duty is also charged on the entire property price, not just the value over a certain tax band. Depending on your budget and planned level of involvement with the property, you may, or may not, want to use a letting agent. Letting agents' services include anything from sourcing and carrying out credit checks on a potential tenant, drawing up a contract and compiling an inventory, to arranging for a broken boiler to be fixed and chasing up late rent. There are also mandatory gas safety and energy efficiency checks to be carried out, which an agent can handle for you. For lettings-only, you might be charged one month's rent, while ongoing fees to manage the property can start at around 10% of your monthly rental income. What are the pros and cons of buy-to-let in 2019? 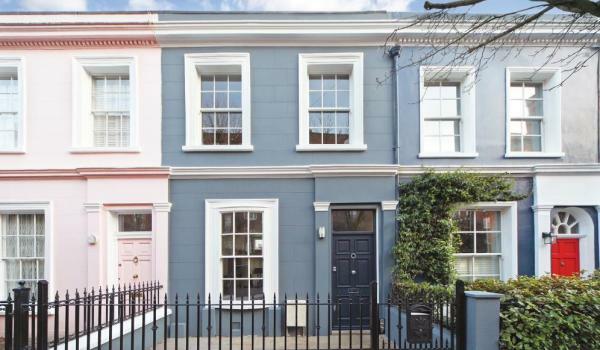 PRO: long-term, property is a winner: The housing market fluctuates but according to Zoopla data, average property values are still 45% higher than they were 10 years ago and a staggering 244% higher than this time 20 years ago. So long-term, property is a good bet. CON: things have got much tougher for buy-to-let: As things stand right now however, mortgage lenders, HMRC and the Government have all turned the screws on landlords' borrowing and profit potential. Many lenders require rental cover of 145% and tax relief on mortgage interest will be capped at the basic rate of 20% for all landlords, from April 2020. Insurance Premium Tax (IPT) rates also now stand at 12%, up from their previous 10%. IPT is payable on all general insurance policies which includes buildings insurance for which landlords are responsible. Bear in mind that lettings agency fees to tenants are set to be banned from June 1, 2019 so landlords will need to find other means of funding costs such as credit reference checks and inventories. All landlords starting new tenancies will have to prove their property has a minimum energy-efficiency rating of E on an Energy Performance Certificate. The law will apply to existing tenancies from April 2020. PRO: some areas could still be tipped for growth: There may still be opportunities to profit from property. Zoopla's latest Cities House Price Index for example, revealed that Leicester house prices grew by 6% in the 12 months to January 2019. CON: new landlords will need to pay more tax: Since April 2016, if you’re buying an additional property that is not replacing your main residence – such as a buy-to-let – you'll face a 3% loading on your stamp duty bill. Unlike regular stamp duty, the extra 3% is charged as a flat rate on the entire cost of the property. This would amount to an extra £9,000 on a £300,000 home, for example, bringing the total stamp duty payable to £14,000. Find out all you need to know about 3% stamp duty rules and leave a question at our dedicated 3% stamp duty Q&A. PRO: Rents tend to rise over the long term: There’s unlikely to be a shortage of people looking for decent private rented property in the medium to long term as, unfortunately, Generation Rent – those who will never be able to afford to buy – is growing. Just 40% of 20-to-39-year-olds living in the capital will own their home by 2025, according to figures from PwC. This compares to 60% in the year 2000. CON: Rents are stagnating in some areas of the UK: Since 2016, rental growth in the south east has remained between 0% and 2% according to Zoopla data from March 2019, while London has seen negative growth. When choosing a lettings agent, make sure he or she is a member of the Association of Residential Letting Agents and the National Approved Lettings Scheme. All information correct at time of publication and provided in good faith. Zoopla strongly advises you to seek current legal and/or financial advice from a qualified professional.